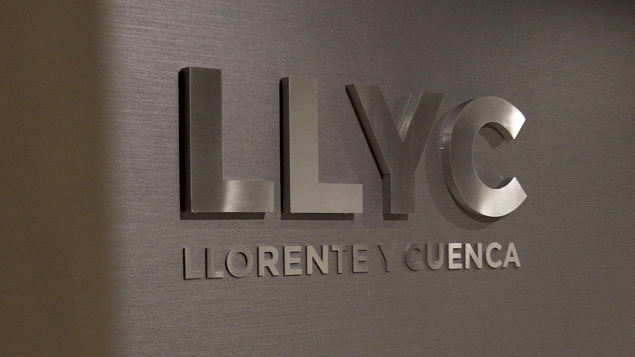 Our LLYC Madrid office has 180 professionals highly specialised in areas such as Public Affairs, Digital, Financial Communications, Litigation, Talent Engagement, Crisis, Consumer Engagement, Creative Studio, Leadership and Corporate Positioning, CSR and Corporate Foundations, Sports and Business Strategy and Executive Coaching. It has been chosen between 2018 & 2014 as one of the 100 Best companies to work in Spain by the magazine Actualidad Económica, due to its support of talent and training programs aimed to outstanding employees so they can have a chance to access management positions within the firm. In recent years, our Madrid office has been involved in several of the most important corporate transactions in Spain and has collaborated on reputation campaigns for domestic and international companies that are today considered to be among the most valuable in the country. Its clients include 6 of the top 10 companies listed on the Ibex-35 Spanish stock exchange. Our approach to reputation, innovation and the development of specific solutions are the cornerstones around which our Madrid office has consolidated its leadership in Spain and based its growth in the country.